A good night out asks for good and delicious cocktails too! 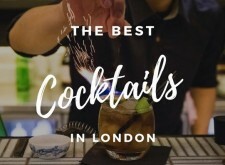 And since you’re partying in the best VIP clubs in London, you deserve the best cocktails in London too! 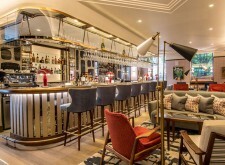 We checked and came up with the list of our favorite cocktail bars and the best cocktails in London! Keep reading and find out more in order to enjoy the best cocktails on the best night out! 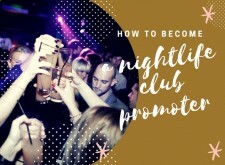 How to become a nightlife club promoter? “Earn as you party harder” –goes the famous saying when it comes to defining a club promoter. 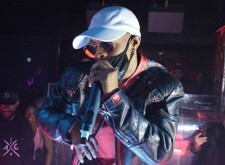 If you are new to this concept, let us help you understand the overall concept of being a nightlife club promoter, how to become a nightlife club promoter and how it can be beneficial for you. 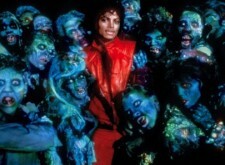 London is known for celebrating the spookiest Halloween parties across the globe. With the upcoming Halloween night falling on 31st October, 2018, be prepared to rock it out at some of the best London Halloween parties. This Halloween, expect the city of amazing nightclubs and bars bursting with exciting events to sink your fangs into. 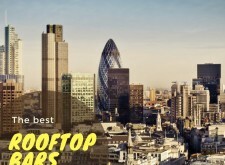 Not only nightclubs but also rooftops are a specialty of London! And not only rooftops during summer but winter terraces as well! And for the ones passionate for rooftop bars, delicious drinks and awesome atmosphere, we are going to present to you the best rooftop bars in London 2018! Here’s our pick list of the best rooftop bars in London 2018! Welcome to the home of the most famous, biggest, craziest and phenomenal nightclubs in the world, London! 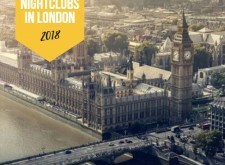 London boasts of amazing nightspots which fill the tastes and imagination of everyone but today we are going to present you our top pick of the best nightclubs in London 2018! Join the tour below and find the best destinations for this year for the best nightlife experience! Good music is the key to a great night out! RnB, Hip Hop, Commercial, Electro, Techno, everyone has a different taste and thank God there are choices for everyone! And London of course hosts the best clubs for all type of music! 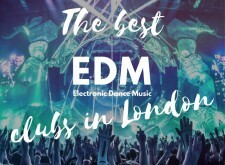 Today we are going to focus on the party-goers who enjoy electronic music and for you we have prepared a list with the best EDM nightclubs in London! You know London is the true home of the private exclusive member’s clubs where the exclusive clubs are traditionally referred to as the gentlemen’s clubs. London boasts one of the most diverse selections of private clubs in the world. Best Halloween Parties in London 2017! London has one of the most sophisticated night out scenes in the world. No wonder celebrities flock its VIP nightclubs and every month offers a big surprise. Here at London Night Guide we will give you a monthly update on the famous celebrities spotted clubbing in London having a great night out.